Buzz Aldrin and Elon Musk are among the scheduled speakers at the symposium, which will be livestreamed. By Yiqing Shao·	 10/21/2014, 4:30 p.m.
MIT’s Aeronautics and Astronautics Department turns 100 this year, and the school is celebrating with a special Centennial Symposium. 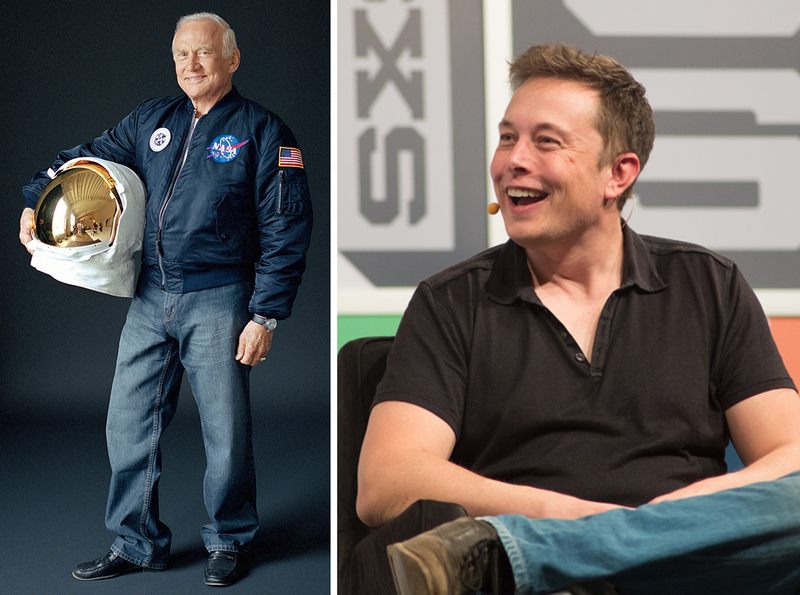 The three-day event takes place Wednesday through Friday, October 22 to 24, and boasts many big-name speakers, including Elon Musk of SpaceX and Tesla, famous astronaut Buzz Aldrin, and more. The public livestream the event at MIT.edu. On Wednesday afternoon, the symposium opens with a look back at 100 years of MIT aerospace research, a keynote from National Air and Space Museum Senior Curator of Aeronautics Tom Crouch, and at 3 p.m., a panel of Apollo astronauts who’ve participated in the NASA program, including second-man-on-the-moon Buzz Aldrin himself. We hope they play “Fly Me to the Moon” when he walks out. On Thursday, four panels throughout the day will look at the future of aerospace in the context of industry, academia, and government. How apropos, as the featured speakers for Day 2 are Wes Bush, the chairman and CEO of Northrop Grumman, and Maria Zuber, an MIT professor of geophysics and Vice President for Research. The party continues at a banquet Thursday night at the JFK Library and Museum. Fun fact: you can see an actual moon rock on display anytime at the JFK Library. This particular sample was brought back to earth by Apollo 15 in 1971. Finally, on Friday, Elon Musk will close out the symposium at noon to talk about his visions of the future of aerospace. Musk will also take questions from the audience so people have a chance to grill him about Tesla. Before Musk, another panel of astronauts will take the stage, and also on Friday morning, 10 MIT students will give “lightning talks,” five-minute presentations on their aerospace ideas and projects. Pay attention folks, these are the people who’ll determine whether the plot of Interstellar becomes real life. Just kidding, nobody knows what Interstellar is about. The MIT AeroAstro Centennial Symposium takes place Wednesday-Friday, October 22-24. Pre-event registration is closed, but on-site registration may be available based on space. Watch the livestream at MIT.edu.